This day has been quiet. In the morning, we stayed at home and went through some course data. We discussed the extra class about economic planning we were going to have on Monday, and how to best explain the point of economic planning, the starting points of a budget and how budgets are used for managing a company. We´ll see if we succeed. 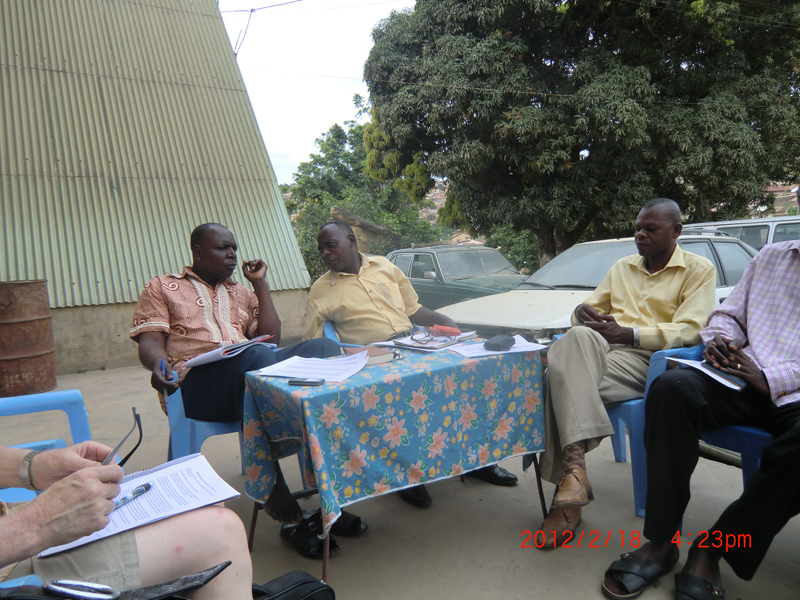 At 3 pm Yapeco came to pick us up for a meeting with the Global Group at the Baobab Church. The new pastor is called Matthieu Diangitukula. He started the meeting with a prayer and then he welcomed us. 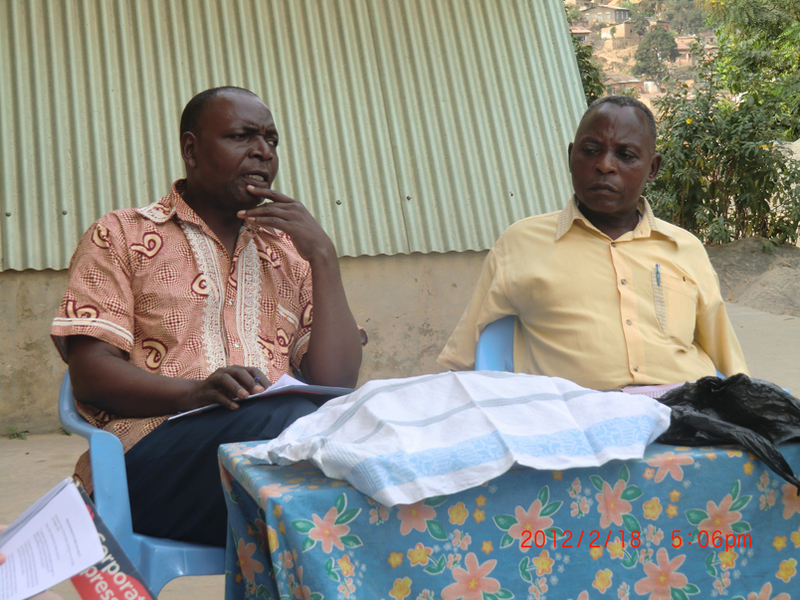 He comes from Luozi and he has been the manager of the CEC Church schools for 20 years. 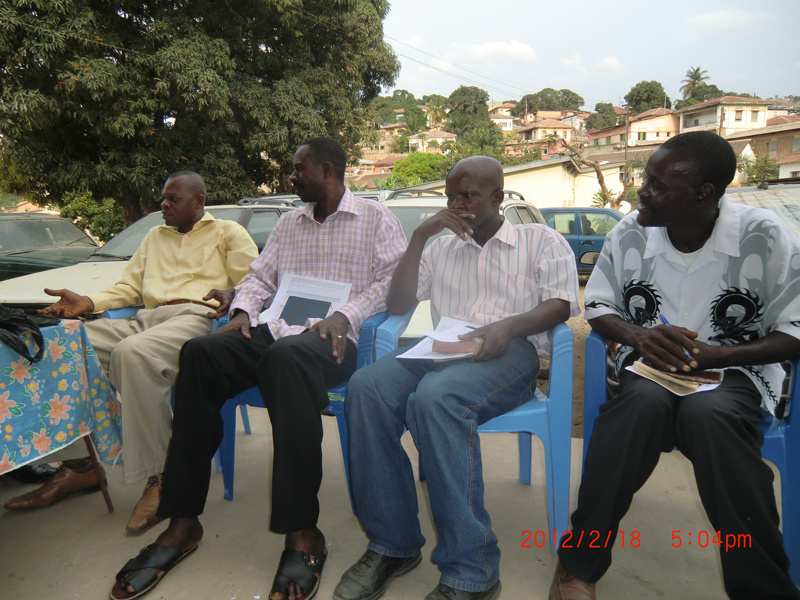 The other participants in the meeting were the chairman of the congregation Damas Ngula, Yapeco, Samuel, Piere, Mois, Bernt, myself and our interpreter, Julienne. I brought up the issue of a common list of prayer requests. We have discussed this issue in the Hökerum – Blidsberg Global Group. The group was in favour of this, and I will get a list before we go back to Sweden. They also approved of the idea to read the New Testament in one year, and they wanted us to start by March 1. I handed out the bible reading plan. It´s just to get started to recruit interested members of the congregations in Hökerum and Blidsberg. 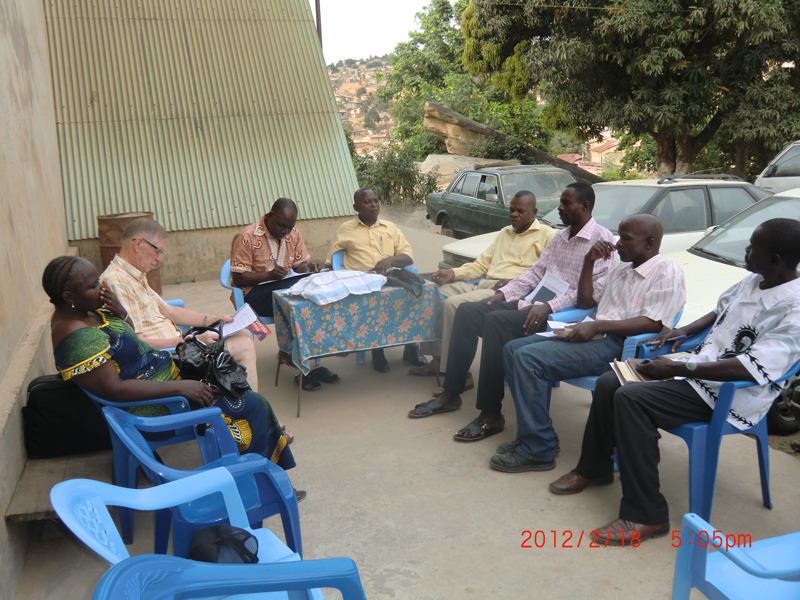 I will get the names of the interested Baobab Church members before our departure on Thursday. 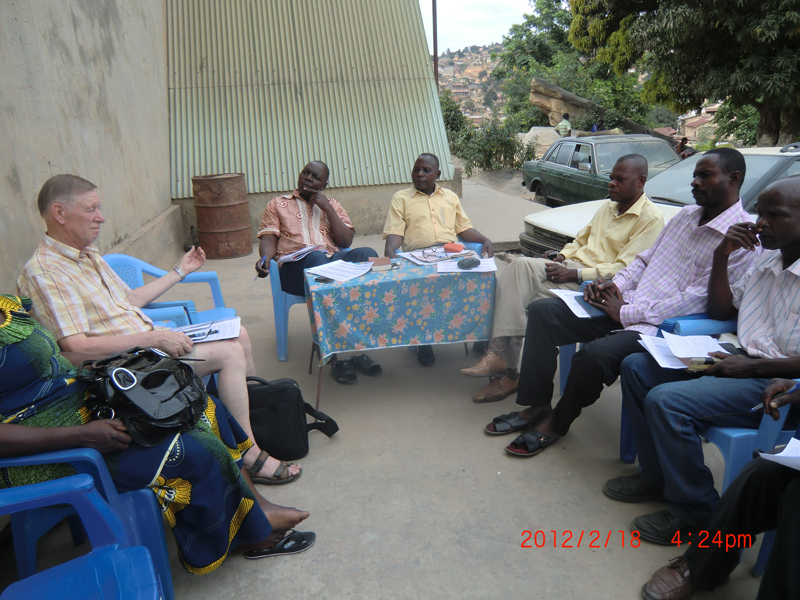 We will continue to look into the possibilities of a joint project for the churches in Sweden and Congo. The Facebook group is interesting, and those with a computer will join the group. For our cooperation to increase and deepen, we need a common language, tentatively English. Matthieu pointed out that English is necessary for international contacts. Judging from the response, an English course will probably be held at the Baobab Church. When we had discussed all the points on the agenda, we had soft drinks with unpeeled roasted and boiled peanuts. 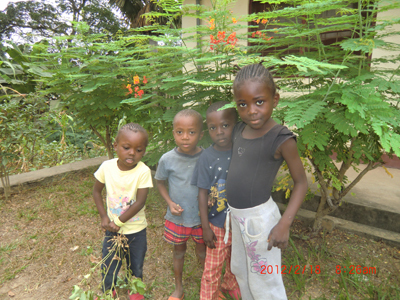 The Congolese peel their peanuts extraordinarily fast . When I had finished peeling one they were already on their tenth peanut. Julienne completed the gathering with a long prayer. 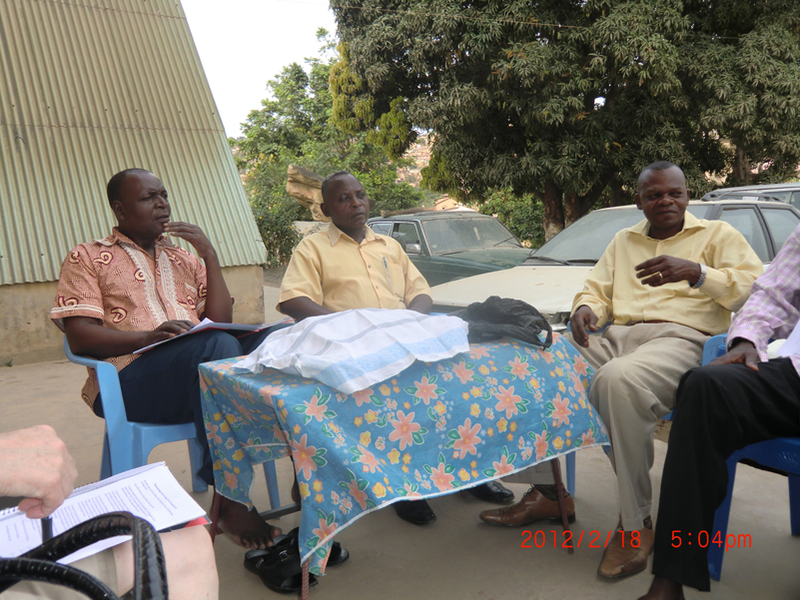 Prayers are often very long in Congo, there is much to discuss with our Lord. As I am writing this, there is full speed ahead in the day room at the Presidential Villa. Bernt is preparing his appearance in the service tomorrow, the Church Superintendent Edi Diafuanakana is writing on his computer, Julienne is writing on her computer, the Church Financial Manager is watching television and Axel Biono, pastor and entrepreneur is entertaining us all. The temperature today has been a modest 25 degrees. That´s nice for us mondele. It is very cloudy, it looks like there could be rain, but so far it has stayed away. The dry spell is tangible and will surely result in food shortages. har för mig att det är kvinnorna man bör satsa på om något ska bli bra gjort. Ursäkta men förövrigt anser jag att ni borde gå i min fotokurs, vissa bilder är knappt visningsbara! Julienne har fått min Kongobok i gåva.